One of our most unique styled leather office chairs, the Boss B3047 features a pneumatic gas lift for seat height adjustment. 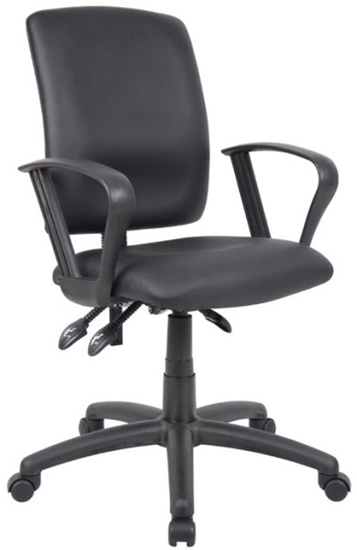 A 27" nylon base provides greater stability, and the black LeatherPlus upholstery adds comfort. Order today for free shipping!